From large scale installations to tiny works on paper, Jonathan Kent Adams presents his paintings in traditional and unorthodox ways. This presentation allows for viewers to imagine those who do not follow social constructions existing alongside those who do. “I love the unfinished moments and unconventional presentation. Those moments allow viewers a place to be themselves,” said Adams. Adams’ work places emphasis on the figure, but also explores communication through still life, video, found objects, and poetry. Similar to contemporary artist, Lesley Dill, Adams creates realities that stem from words he encounters. His work encourages self-discovery amid traditions that often deny the outsider’s existence. 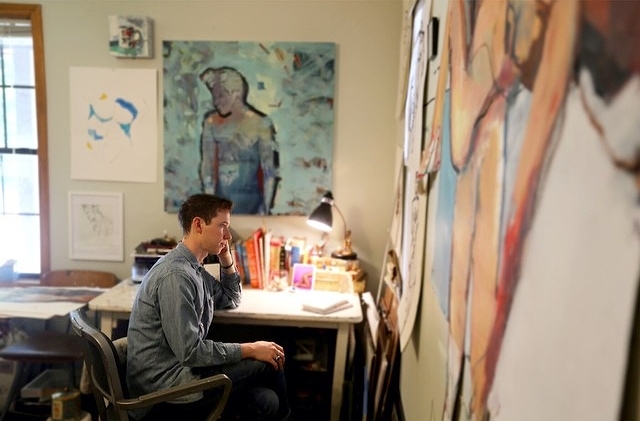 Jonathan received a Bachelor of Fine Arts in Painting in 2014 from the University of Mississippi. 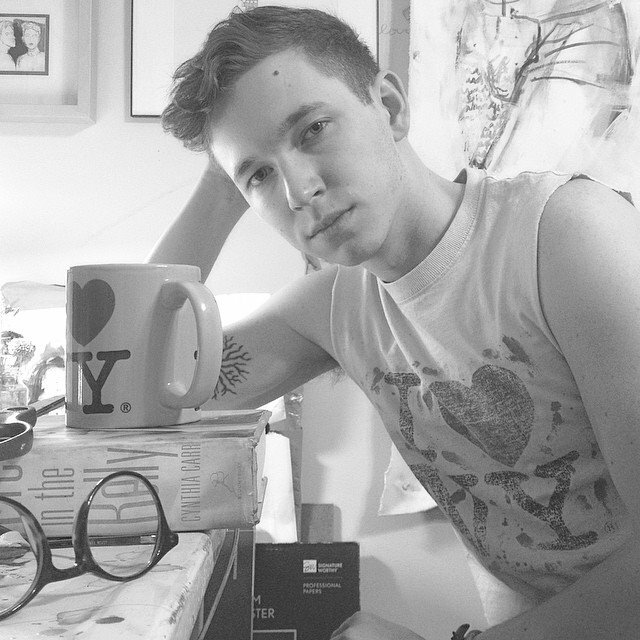 He studied under Mary Beth McKenzie at the Art Student's League of New York in 2012. He currently resides and makes work in Oxford, Mississippi. Please email or call for pricing or specifics regarding art pieces. Bozart's Miniature Show. Bozarts Gallery. Water Valley, MS. 2017. Featured Artist. The Daily Mississippian. 2014. Featured Artist. The Oxford Eagle. 2014. Artist Spotlight. The Local Voice. February, 2016. Featured at the Oxford Film Fest in Layers: A Documentary by Christina Huff. 2016.